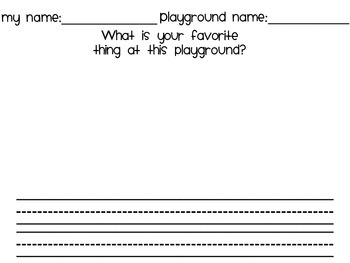 Record the details.... 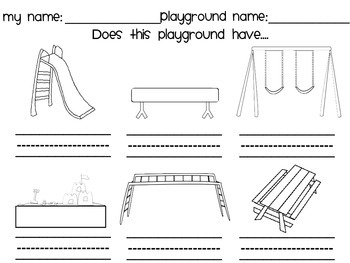 Put an “x” on the line under the equipment that is not at the playground, try to write the beginning sound or all the sounds you hear on the line under the equipment that is at the playground. 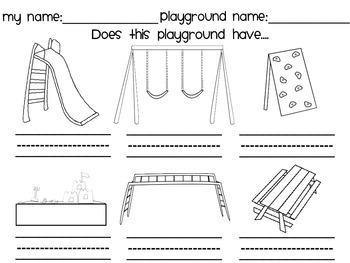 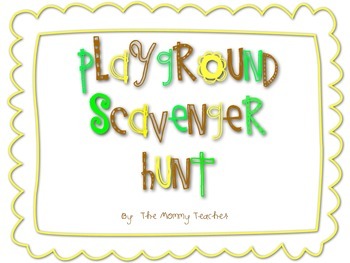 Compare and Contrast the different playgrounds by making their own scavenger hunt specific to their own local parks/playgrounds.